Anyone who ties flies will have used hare fur. The mask offers lots of hair in slightly different shades. Used as both quill bodies on Trout flies and wings for salmon flies. 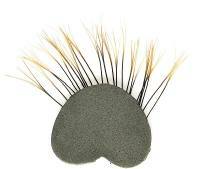 Soft fur with exceptionally long guard hackles. The blue under fur is excellent for dry patterns. 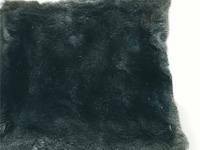 This natural dark dun dubbing is really soft and dubs down very tight. This beautiful soft dubbing is now available dyed. 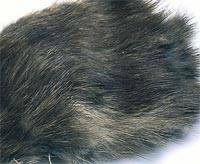 - Natural wild rabbit, brown with blue under fur. - Tanned White. The tanning makes it very supple and easy to use. Body fur piece. Hare body is normally slightly darker and longer than the mask or ears. Long, 13cm, soft and very mobile, naturally tapered hair. Perfect for long tube patterns. Squirrel Skins are rapidly becoming recognized as a superb dubbing material, being moderately finer in texture than Hares fur, it is ideal for smaller nymph patterns.